We’re being lean. How did we do today? 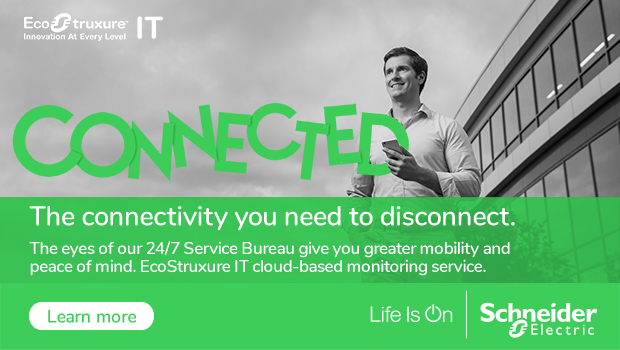 *September 25th update: StruxureOn was re-branded to EcoStruxure IT. It seems to be a standard part of the process when we make almost any online or offline transaction these days. The merchant wants your feedback about what they got right, what they got wrong and, importantly, (on a scale of one to ten) would you recommend them to a friend. As a proud Dane and Northern European, it’s in my nature to be pragmatic about the brands I invest in. As long as they continue to deliver on their brand values, I tend to be loyal. They all get a chance to fail, and I keep the door open when things go wrong. However, if they make a habit of under-delivering, they drop off my shopping list. Permanently. Keeping an ear open to the customer is of course fundamental to building a brand. The godfather of branding, David Ogilvy, said that brands are built in the minds of customers in the way that a bird builds a nest. As a brand, what you do is more important than what you say. Recently at Schneider Electric we’ve made some changes to the way we’re developing and delivering our software related products and services. We’ve been continuing to cultivate a start-up mindset in the way we go about doing things, and following Geoffrey A. Moore’s invaluable Zone to Win organizational ideas, digital services now sit in the Transformation Zone within the company. A little closer to our roots as an industrial equipment solutions provider, we’ve also adopted a lean approach to software innovation. As any software geek knows, the underlying premise is to eliminate uncertainty in the development process by gaining ongoing feedback from customers – or “validated learning” as it’s called. If you followed my recent posts about the introduction of StruxureOn, our new cloud-based data center monitoring service, you’ll start to see why all this is important to the company. Firstly, using cloud technology gives us tremendous agility when it comes to deploying new features. Secondly, keeping a listening ear to customer comments means we can identify which parts of the minimum viable product are useful, and which aren’t. All of this points to a more customer-focused solution in which advanced features can be tied more closely to utilization. If the user needs and wants functionality, it’s voted into the regular feature-set by being used. That reduces the requirement and therefore lost time and cost in extraneous product development. At the same time it helps us stick to the knitting; refining and optimizing the solution, while offering transformational ideas for users to play with. StruxureOn was introduced to enable companies to gain the benefits of DCIM-style monitoring and reporting without the perceived start-up costs and unwanted and confusing functionality. All the sensors we need are already in place – as my colleague Kim Povlsen points out in his recent post Water, water, everywhere, nor any drop to drink…. So the question is, how did we do today?